If Terms & Conditions are on your Boring Admin List, I’ve got a podcast (and a free template) for you! Terms and Conditions are a vital part of the freelance relationship with a client – they set the standard, and back you up if you have to refer to something in the future (e.g. late payers). In this five minute episode of The Freelancer’s Teabreak, I discuss what you need to include and why. Want the free template? It’s over here! I now have four ways you can catch the podcast! The podcast is back for 2018! 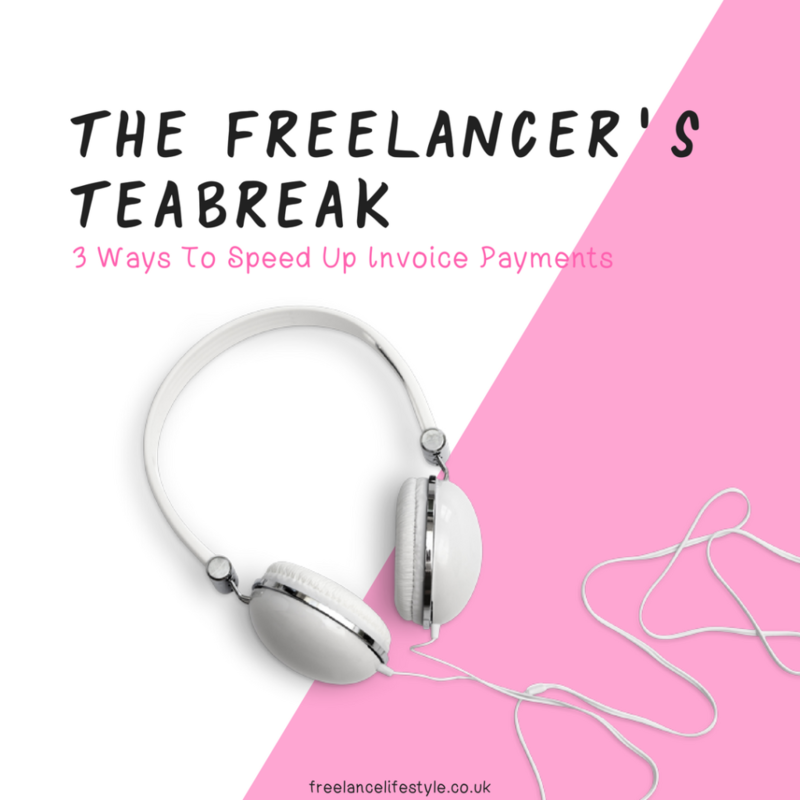 I’ve missed recording these little snippets you can listen to while you’re waiting for the kettle to boil, and this episode is one that’s particularly important for freelancers – invoice payments. How can we speed them up, deal with the late payers and reduce the stress of waiting to be paid? I’ve got three tips up my sleeve for you! I now have three ways you can catch the podcast! Go Cardless Direct Debit – You can now set up direct debits for clients through Go Cardless. This is particularly beneficial if they have the same amount to pay each month. Setting up the direct debit means you know your fee will be paid on a predictable date, and if they’re unhappy about setting one up it could highlight a potential bad payer. If you’re looking for a template for the late payment fees and early payment discounts, I have one in the Freelance Lifestash! Crunch Chorus also have some handy templates if you do have to chase payments. Do you have any methods for speeding up payments? 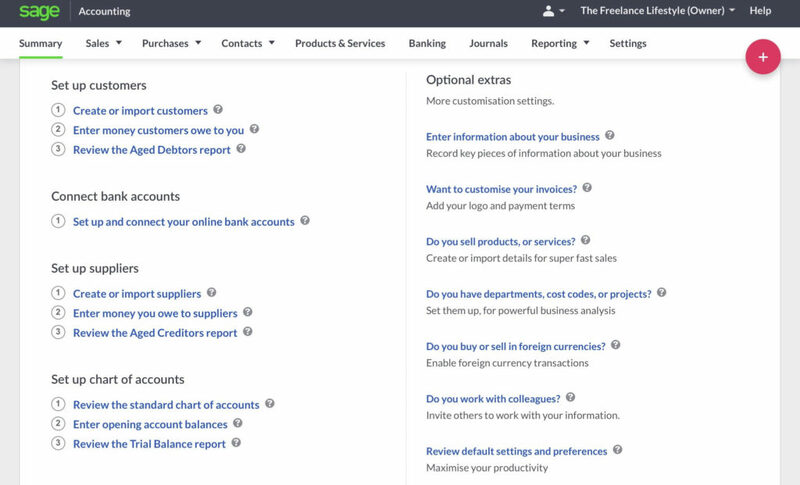 What are the best invoicing tools for freelancing? How do I keep track of my expenses as a freelancer? How do I keep on top of my accounts as a freelancer? So, I’ve put together some of the most trusted, user-friendly and affordable options for you to start looking at. 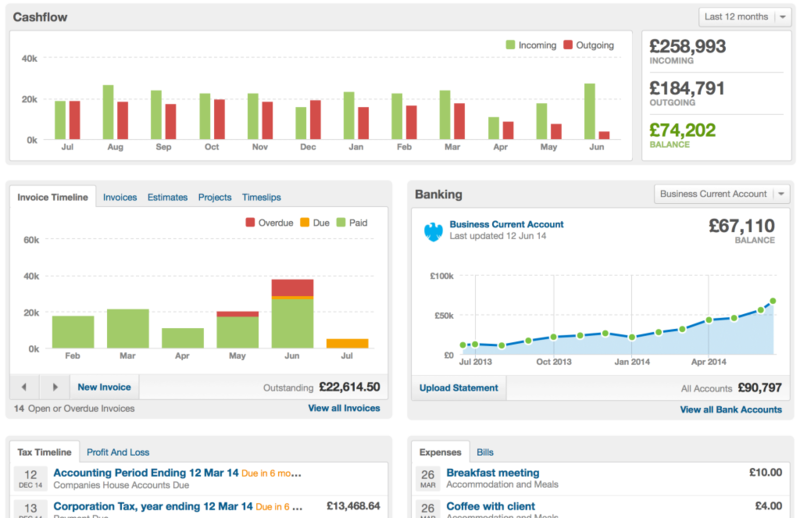 Firstly though, a quick explanation about why you might need an invoicing system. An invoicing system is what you use to send your clients an invoice requesting payment after a project has finished or monthly/weekly. I started out using Freshbooks, which is online. It allowed me to set up invoices quickly and choose to send them automatically at the same time each month if I chose to. It also added on late fees for me if they passed the 30 day payment period without paying. Additionally, I could print out all of my expenses and invoices at the end of the year for my tax return (I now track it all but keep most of the digital ones in a subfolder rather than printing them all). Other popular options include Crunch, which is slightly pricier but includes an accountancy service, Sage (affil link) probably the most well known and trusted and a great option if you’re looking to grow your business to more than just you in the future, and FreeAgent (affil link), which has some great features like connecting your bank and showing you your cashflow. Many of these offer a free trial if you want to give it a go. Finally, there’s Wave, which is free and the one I currently use. Many of my freelance friends do it all manually, which works really well for them and it’s free (sadly, I’m not that organised!). You can even find free invoice templates on Google Drive. 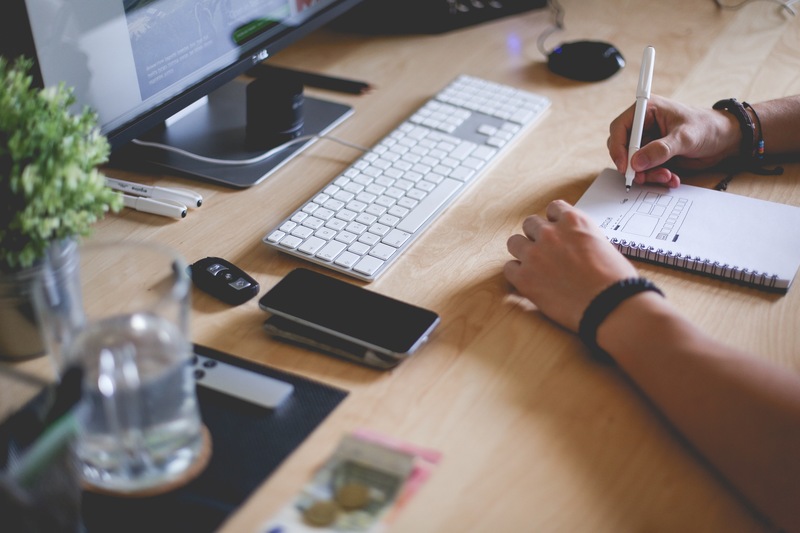 Want to know more about finance as a freelancer? Check out these articles. Do you have any accounting question? Morning everyone! A quick post from me today about an upcoming series of posts from my freelancing accountant friend Raj Dhokia. Raj is going to be answering your accounting questions on the blog. I know this is an area lots of you (and I) struggle with, so I’m really excited to read what Raj’s pearls of wisdom are. He really knows his stuff, and as his partner is Elizabeth Sellars of Blognix, Rosalilium and Awesome Wave, he understands the financial woes of anyone running a business online. So, what questions do you have about accounting? Comment with them below, or email me on hello@emmacossey.com. Earlier this week, I was listening to one of Claire Mitchell’s excellent bitesize The Girls Mean Business podcasts about passive income. I can’t find the exact quote now, but essentially she mentioned at one point how growing her business and boosting income was often as simple as introducing a new e-product or passive income service. It was perfectly timed, as this week in the Four Weeks Of Freelance Habits (Edit: You can now access the four week course for free here), we’re talking about how to give your money situation a little spring clean. One of the three challenges is to investigate how you can use passive income to boost your income streams. These are income streams that sit alongside your regular services, quietly earning you extra money. It’s very, VERY important to understand that you still need to run some of your business as a real-time presence. For example, a freelance blogger could earn extra money from advertising and affiliate links, but would still need to regularly update their content and write new blog posts. A graphic designer may have some free templates sold through Etsy that brings in some income, but they’ll probably need to be taking on ‘live’ graphic design products at the same time. Anyway, the list you’re here for – a few ideas of how you could add some extra moola to your freelancing income. One other note before we proceed – EUVAT. You need to be careful that you don’t get caught out and end up with a delightful VAT bill. Have a good read of Clare Josa’s guide here. E-courses can take a while to set up initially, but they’re a great way to create regular content. By adding a Facebook group for support, you should be able to get around the EUVAT issue too (plus it’s lovely to have a central place for everyone to compare notes). I use Teachable for my e-courses, but you can also use sites like Udemy. The great thing about e-courses is that you can create them using content you’ve already put together. E-courses range from being free to earning you £100s. If you add in some 1-2-1 consultations, it could be even higher. If you like the idea of e-products, there are lots of other things you could produce too – worksheets, cheat sheets, templates, your own photography to buy etc. There are certain products I always recommend because I love them – and I initially felt a bit icky about using affiliate links when mentioning them. Affiliate links are links where I’ll get a small fee or % back if the clicker decides to buy. But as long as you’re ethical about what you’re using affiliate links for (for example, only using them for product and services you’ve actually used and liked), I think they’re a great way to earn a little extra for something you’d recommend anyway. You can also use plugins embedded into your site, like Skimlinks, which will automatically change any of your product links into an affiliate link. If I use an affiliate link, I pop (affil) next to the link so you know what’s happening. If you want to know more about affiliating, I found this course (affil) really interesting, with lots of extra tips around increasing your affiliate rate, using prettier links and how to increase click throughs. It’s from Michelle at Making Sense of Cents, and she makes over $100,000 a MONTH from all sorts of affiliate income, so it’s worth checking out her income reports to see how. Affiliate links can earn you anywhere from a few pence to £100s for the big courses. Webinars are short presentations, often done through tools like GoToMeeting and Google+ Hangouts, with a Q&A session at the end. These webinars are often used as a sales tool, giving away lots of free information in exchange for a promotion at the end of the webinar about a new e-course or service the webinar host is offering. I’ve seen a lot of people using recorded webinars in bundles, as an incentive to sign up to their newsletter, or as a small product to buy. Is there a topic you could talk about on a webinar, then package up to resell after? You can charge a small amount for the initial webinar (say £10-20), but the income can come from adding it to a bundle of other content, or selling it as a mini product for anywhere between £10-99. For bloggers, sponsored posts are a great way to make a quick buck (or pound). I have no problem seeing the odd sponsored post on my favourite blogs, especially when the sponsored post is still entertaining and works well with the rest of their content. Girl Tweets World did a great piece earlier this week on how she earns money as a travel blogger, which is worth a read as she gives actual numbers for how much she often charges for everything from blog trips to Twitter takeovers. How much you earn depends a lot on your blog audience, but anything from £100 upwards to £1000 is fairly normal. Cashback is where you use a website or tool to click through to a retailer, earning a small amount of cashback every time you buy something. You may have also heard of cashback credit or debit cards, where you’ll earn as you shop. Essentially, you’ll earn for stuff you’d have bought anyway. Penny Golightly has a great guide to this. I use Quidco, on everything from Amazon purchases to hotel rooms. If you sign up with this link, you get a £5 credit. 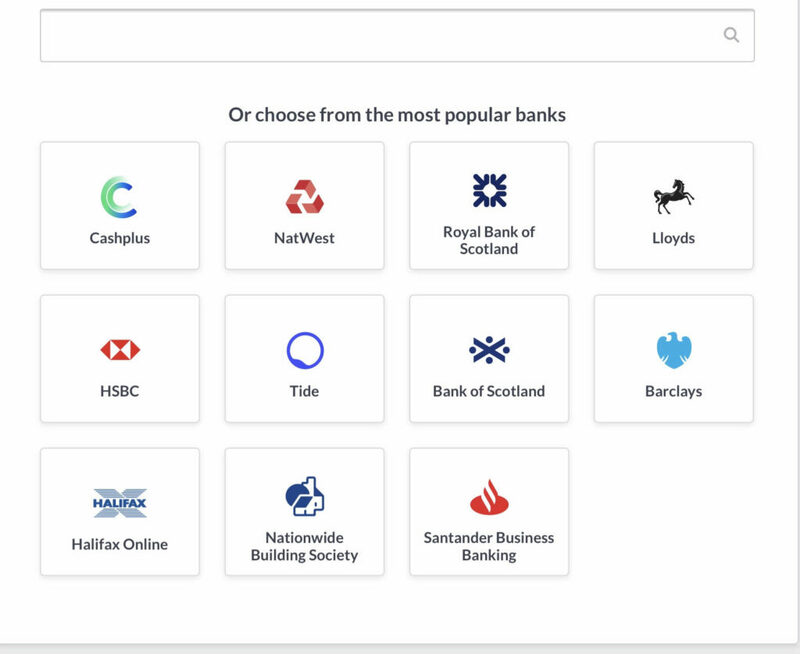 Personally I probably earn £50-200 a year from cashback sites, but I know friends who use it when travelling, eating out, making big purchases and more who have earned £100s a year back. Blog – Google Adwords is the biggest player in this market, but you could sell space in your sidebar direct to advertisers, or use a tool like Passionfruit Ads. Bonjour Blogger has a great guide to blog advertising. Newsletter – You’ve got two options with your newsletter. Get someone to add an advert to it as you would on your blog, or (my preferred method), add in an affiliate to your newsletter. The affiliate has a more personal, recommended feel and means you could earn a nice extra income from your weekly newsletter. 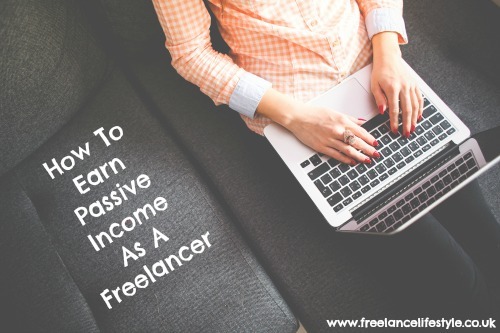 Do you earn passive income? What are your favourite methods? I’d love to hear your suggestions below! 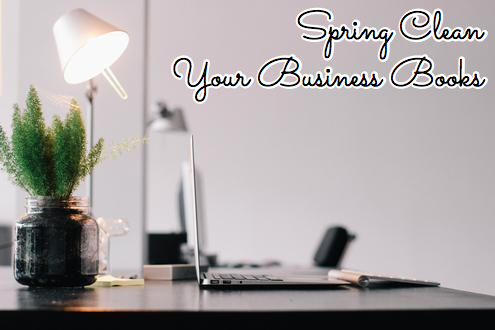 Now the winter weather is on the way out, it’s a great time to start thinking about how you could potentially tidy up your bookkeeping and make your business more efficient. So why not get on with some spring cleaning? Here are some top tips from FreeAgent’s Chief Accountant Emily Coltman FCA, to help you brighten up your books and get your business set for fresh new growth in the months ahead. It can be a major headache for a small business when customers don’t pay on time – but what’s even worse is when they don’t pay at all! So if that’s something that happens in your business, it’s a good idea to check regularly to see who owes you money. Check your list of unpaid invoices. Accountants call this list your “aged debtors report”. Is there anyone there who hasn’t paid you yet but should have done? If so, contact those customers immediately, by phone or by email, and check whether payment is on its way. If your customer is refusing to pay, you may have to consider your options and either chase them up through a small claims court or just cut your ties with them completely. But if there’s a problem and they can’t afford to pay you just yet, you may want to arrange some kind of alternative payment plan with them. Either way, you won’t know unless you check your aged debtors report and make that call. [su_pullquote align=”right”]Remember, it’s your business and you shouldn’t have to deal with anyone if you don’t want to – so don’t be afraid to weed out the non-payers if necessary. [/su_pullquote]If you have customers who regularly pay you late – or don’t pay at all – it may be a good idea to re-evaluate your relationship with them. Provided that your business can afford to do so, you may even want to sever ties with them altogether. After all, if you’re not getting paid for the work you’ve done that’s all wasted time that may have been better spent working for someone else. Even if there is a good and genuine reason for being paid late, ask yourself if you are happy to keep on working with these clients or if their outstanding invoices might cause your business pain in the future. Remember, it’s your business and you shouldn’t have to deal with anyone if you don’t want to – so don’t be afraid to weed out the non-payers if necessary. It can also be dangerous to let your business rely on one, or only a few, customers, because then if you lose one customer you lose a large proportion of your sales – if not all your sales. Schedule some time to review all of your different projects in turn to see how they’re performing. Calculate how much profit you’ve made on each project, and then divide that by the sales figure for each project to get its profit margin. This will show you how much profit you’ve made for every pound of sales. Now do the same calculation for your business as a whole. If a particular project’s profit margin is lower than that for the total business it may be an indication that you’re being too nice to that customer and you may need to put your prices up. On the other hand, if your project’s profit margin is higher than that for the whole business, you may want to try doing more work for that customer or use the same basis for a new client. Remember, it’s a good idea to make sure your growth is targeted and profitable; and working with good clients on profitable projects is key to this. Set some time aside to go through the major costs in your business and see whether you’re paying more this year than you did last year – and, if you are, try to identify why this is the case. For example, you may find your suppliers have put their prices up and if so, you may want to consider increasing your own prices to compensate for this. Alternatively, could you save money without compromising your brand? Remember it’s not a great idea to try and save as much as you can by cutting costs to the bare minimum (for example by printing your business cards at home on cheaper paper, or teaching yourself to code and build a website rather than hiring an expert to do it), so make sure your cost savings are sensible and not harmful to your business in the long run. Most businesses will have a little odd anomaly lurking somewhere in their books. Perhaps it’s an overpayment from a client that’s never been written off, or a tiny, unexplained bank transaction which nobody remembers. The problem is that these may cause you pain in the future because your accounts will be incorrect and your accountant will have to take extra time to sort it out when they prepare your final accounts. Take the time now to clear the little errors out of your books and you’ll ensure your financial information is accurate – which means you won’t have to pay extra to get your accounts fixed by a professional at the last minute. But remember if you’re unsure of anything though, do ask your accountant for help. A quick call to them for advice could save you a lot of time and hassle. Emily Coltman FCA is Chief Accountant to FreeAgent, who provide a multi award-winning online accounting system specifically designed for small businesses and freelancers.